Why Should I Put My Money in UTI Mid Cap Fund? Every man is running after success. But in reality, only a few get to capture the essence of success. The major reason behind such a vast variation is the amount of efforts put in. It was well said by someone great that everybody wants to go to heaven, but nobody is ready to die. Which simply means that everybody wants to become successful but nobody is ready to pay the price, which is doing hard work. But today, alone hard work cannot make you successful. You need something more on top of simple plain working. And investment in UTI Mid Cap Growth Fund is the perfect additive to achieve success, and a source of great energy to propel your wealth building. It is a top rated mutual fund that combines the power of stocks of several high-end companies and makes a great deal of investment. 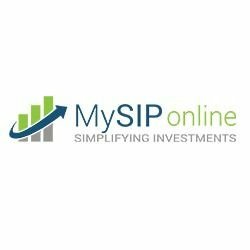 MySIPonline, India’s favourite online investment portal, is known for its timely updates and recommendations on the best mutual funds. It has given a comprehensive account of UTI Midcap Fund G. Read and absorb the details of this fund, as it will help you make a cohesive investment plan. UTI Mid Cap Fund (G) was started in India by an extremely powerful asset management company, known as UTI Mutual Fund. The fund was started with an objective to provide a platform to the investors to invest their money for achieving high growth and wealth in the long run, by capturing the growth potential of the midcap companies. The fund has been very successful in the market giving handsome rewards and attaining new milestones, every year. It also has been awarded three star rating by CRISIL for its outstanding performance and growth exhibition in the past five to six years. As the name suggests, UTI Midcap mainly focuses on the midcap stocks of mid-sized companies valued between Rs. 500 crore – Rs. 10,000 crore. However, the strategy followed by the fund is quite dynamic and diverse, in order to ensure that the fund has the capability to work under all conditions. At present, the fund has chosen 61 stocks of different thriving mid-sized companies, and about 35.63% of the total assets of the fund are invested in the top 10 major stocks. Further, in addition to midcap stocks the fund also encompasses different category stocks, such as large and small cap, in decent proportions that amount to 16.91% and 12.38%, respectively. The major industries where the fund parks its monies are Automobile, Financial, Chemicals and FMCG. These are some of the highly growing sectors of the Indian market and contribute a pressing amount to the economy. The concentration of these sectors in the portfolio is 16.04% for Automobile, 14.66% for Financial, 10.84% for Chemicals and 10.09% for FMCG. The major reason why a person choses to invest in mutual funds is great returns and wealth building. These are the founding pillars and the essence of mutual fund investing. Remove them from the equation and the equation fails. Thankfully, UTI Mid Cap Fund (Growth) is one of the best paying funds in the market, with returns flying higher than the benchmark and the peer returns. In the last five years, the fund has sewed 25.73% returns against the benchmark (NIFTY Midcap 150 TRI) yield of 24.00% and the category average of 24.27%.